2013-06-07 Parts needed to add to the board – 4Eo 035 729 to make 4Eo 035 729 A.
Capacitors = 7 x 100 nF, 6 x 47 nF, 1 x 10 pF, 1 x 47 pF, 1 x 1 nF. Capacitors electrolytic = Size 1 – 1 x 10uF, Size 2 – 1 x 100 uF. 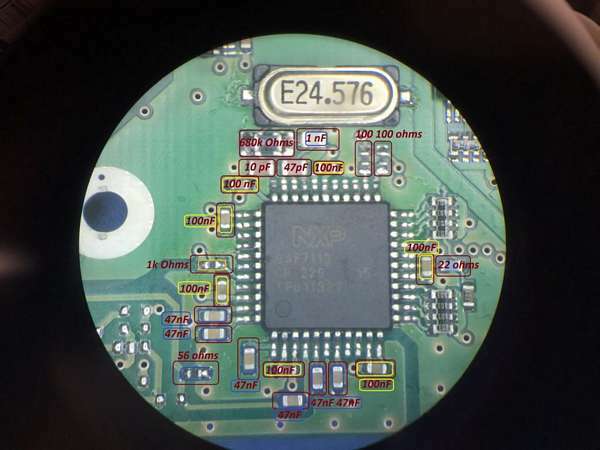 The surface mount pads are almost the same distance as the diameter. Resistors = 1 x 56 ohms, 3 x 0 ohms (can be shorts), 1 x 22 ohms, 3 x 100 ohms, 2 x 1000 ohms, size 0805 or 1206 1 x 680K (680,000) ohms. 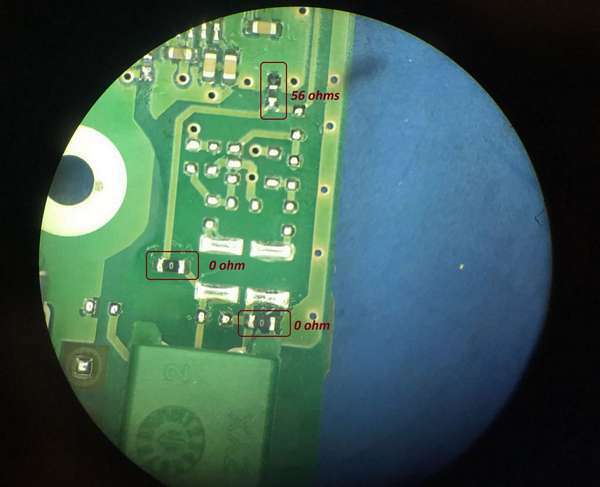 Crystal = 24.576 Mhz SMD or through hole. SAF7113 = 9 bit video. I still have one extra set of these – email me if you’re interested – $30 + shipping (US only) if in Europe contact Kris at VNSMedia to buy. All Audi A8 from 04-06 don’t have RVC camera as an option. Unless the car has the TV or DVD options, the MMI Head Unit may not have the FBAS for the video input from the Camera. 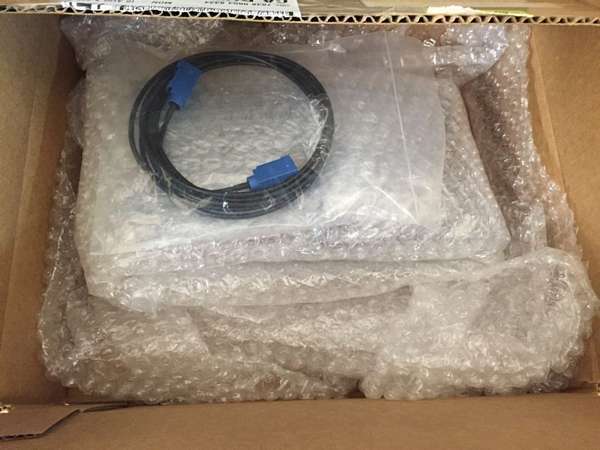 This Head Unit part number for A8 is 4E0 035 729 without FBAS, with FBAS, the part number will have “A” in the end 4E0 035 729 A.
I’m pursuing the RVC (rear view camera) retrofit for my 06 A8, my Head Unit doesn’t have an A, it’s missing FBAS circuit which I have to add for video receiving input. 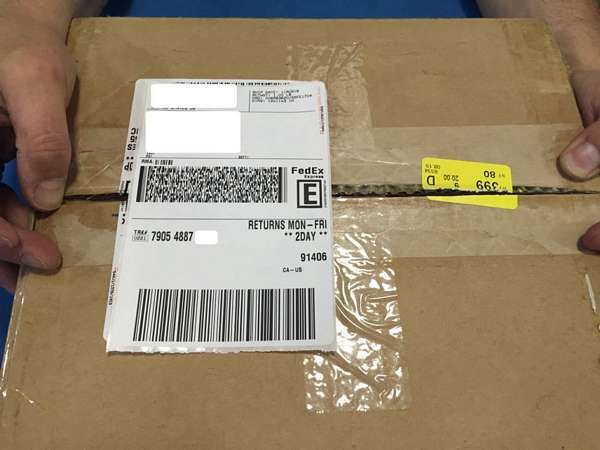 There is a company in Poland that offer to add the whole circuit for a fee, we just have to send the box over to them and wait to receive it back. We can also buy a unit that’s from another car, but the problem is that we will have to take it to the dealer to remove “component protection” because every car is built with specific components to specific id number. When we change something, we need to notify the “mother ship” = Audi center. 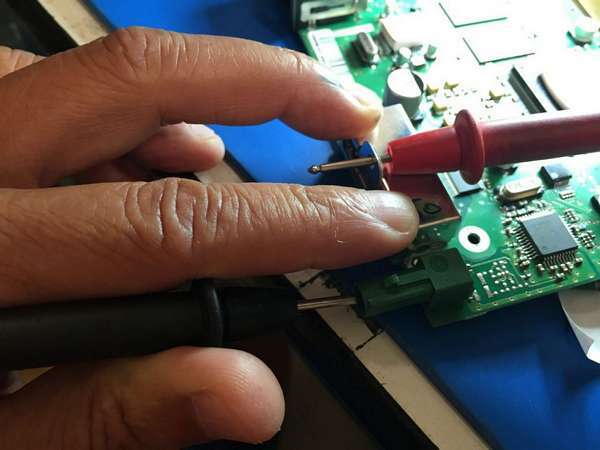 Therefore, if we modify the existing circuit, we won’t have “CP (component protection)”. According the expert in Poland, to add a workable circuit for FBAS, we will need all the components on the picture. 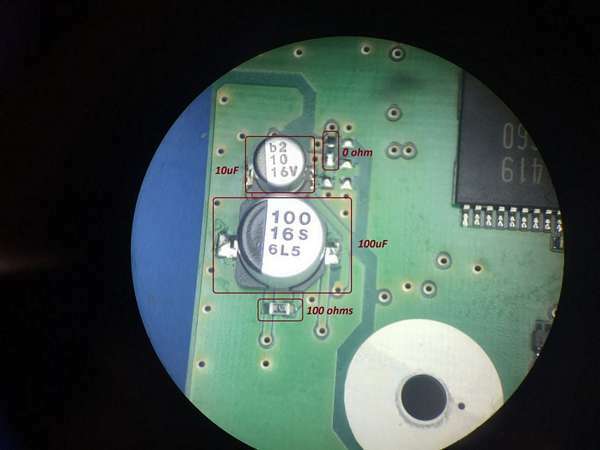 It’s hard to see what size of components we need on the pictures, but all CAPACITORS & RESISTORS use size 603 SMD. The can electrolytic capacitor use size 1 (10uF) and size 2 (100uF) surface mount. All these components are designed into support SAF7113H. 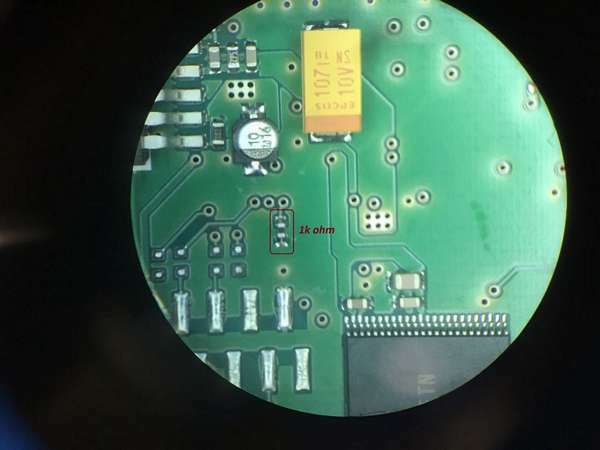 Parts readily available in the US are all components except 2 that I have to order for China – The 9-bit video processor SAF7113H and the Fakra male connector “E”. I also ordered 5M Fakra cable from China, but many people order from Kufatec in Germany which is custom made for specific cars like Audi. 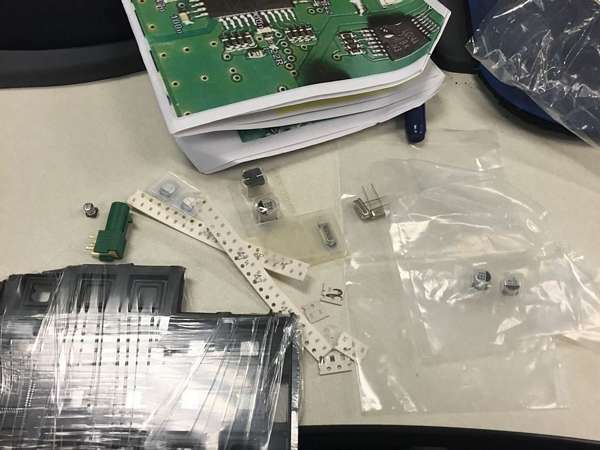 If you are in Silicon Valley, Halted.com sells everything we need for this project – capacitors are $.02-.04 – resistors $.06-.08. 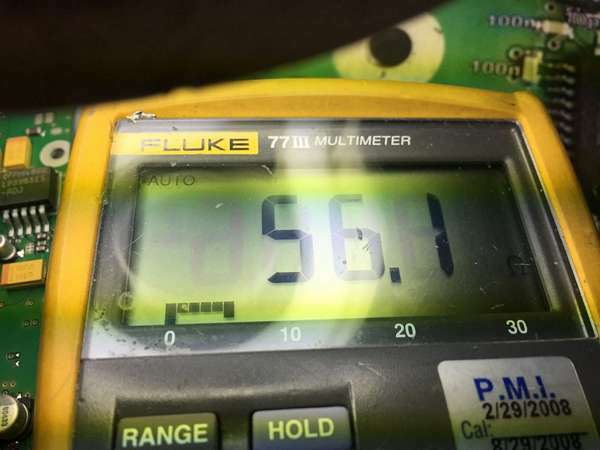 24.576MHz crystal (metal surface mount) = $.87. 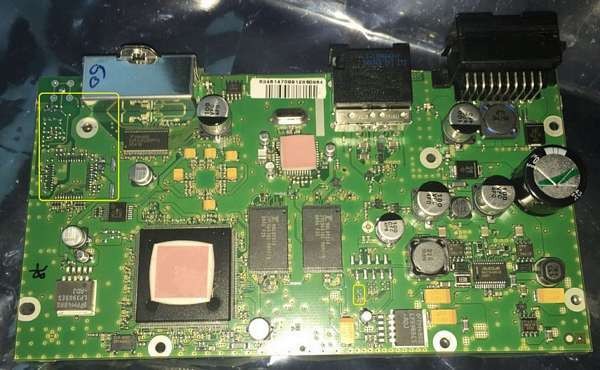 The cost of retrofitting this board is $15 for SAF7113H from China and $4. for the connector FAKRA. all others are less than $10.00. We do need T8 to remove the board from the case. Harbor freight sells a nice set for $8. 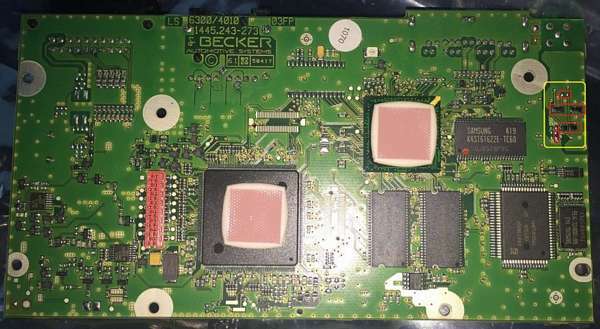 The case will have to be drilled and sawed a part for the Fakra “E” connector to go through.